Here is a nice DIY fashion project to make a heart shaped crown braided hairstyle. It works for medium to long hair. 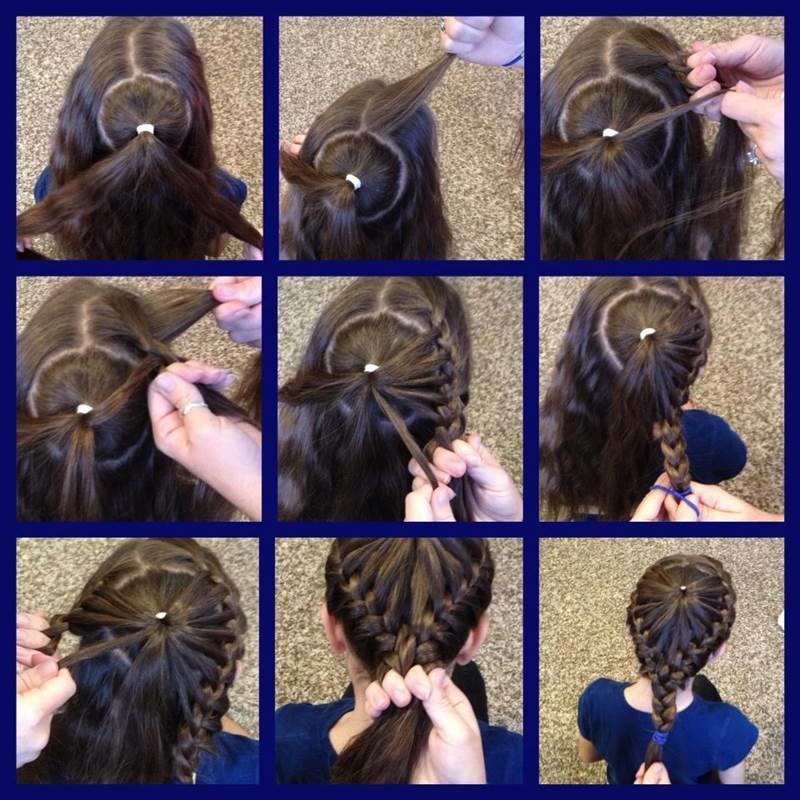 It looks very special and lovely, with the braids woven all around your head like a crown! It might look complicated at first, but if you practice a few times, you can make it in a few minutes. If you love braided hairstyle, definitely try this beautiful heart shaped crown braids. Collect a circular section of hair on top and make a ponytail, leaving the surrounding hair (front, back and sides) loose. Secure the ponytail with an elastic. Divide the front part of hair into two equal parts. Start weaving braids from the right-hand side. Gradually pick up strands of hair from the middle ponytail in the weaving. Weave until the end of the hair and secure the braid with an elastic. Repeat steps 3 to 5 for left-hand side of the hair. When you weave until the end of the left-hand side, remove the elastic of the right-hand braid and combine all the hair together (the right-hand braid, left-hand braid and the hair in the back). Weave regular braid with all the hair and secure with the elastic. Enjoy!